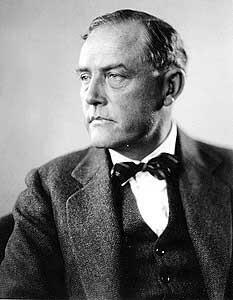 Victor David Sjöström (Swedish: ; in the United States sometimes known as Victor Seastrom; 20 September 1879 – 3 January 1960) was a Swedish film director, screenwriter and actor. He began his career in Sweden, before moving to Hollywood in 1924. Sjöström worked primarily in the silent era; his best known films include The Phantom Carriage (1921), He Who Gets Slapped (1924) and The Wind (1928). Later in life, he played the leading role in Ingmar Bergman's Wild Strawberries (1957). Born in Silbodal, in the Värmland region of Sweden, he was only a year old when his father, Olof Adolf Sjöström, moved the family to Brooklyn, New York. His mother died when he was seven years old in 1886. Sjöström returned to Sweden where he lived with relatives in Stockholm, beginning his acting career at 17 as a member of a touring theater company. Drawn from the stage to the fledgling motion picture industry, he made his first film in 1912 under the direction of Mauritz Stiller. Between then and 1923, he directed another forty-one films in Sweden, some of which are now lost. Those surviving include The Sons of Ingmar (1919), Karin, Daughter of Ingmar (1920) and The Phantom Carriage (1921), all based on stories by the Nobel Prize–winning novelist Selma Lagerlöf. Many of his films from the period are marked by subtle character portrayal, fine storytelling and evocative settings in which the Swedish landscape often plays a key psychological role. The naturalistic quality of his films was enhanced by his (then revolutionary) preference for on-location filming, especially in rural and village settings. In the 1920s he accepted an offer from Louis B. Mayer to work in the United States. In Sweden, he had acted in his own films as well as in those for others, but in Hollywood he devoted himself solely to directing. In 1924, using an anglicised name, Victor Seastrom, he made Name the Man, a dramatic film based on the Hall Caine novel, The Master of Man. He went on to direct great stars of the day such as Greta Garbo, John Gilbert, Lillian Gish, Lon Chaney, and Norma Shearer in another eight films in America before his first talkie in 1930. Uncomfortable with the modifications needed to direct talking films, Victor Sjöström returned to Sweden where he directed two more films before his final directing effort in 1937, an English language drama filmed in the United Kingdom Under the Red Robe. Over the following fifteen years, Sjöström returned to acting in the theatre, performed a variety of leading roles in more than a dozen films and worked as director of the Svensk Film Industri company. At age 78 he gave his final acting performance, probably his best remembered, as the elderly professor in Ingmar Bergman's film Wild Strawberries (1957).